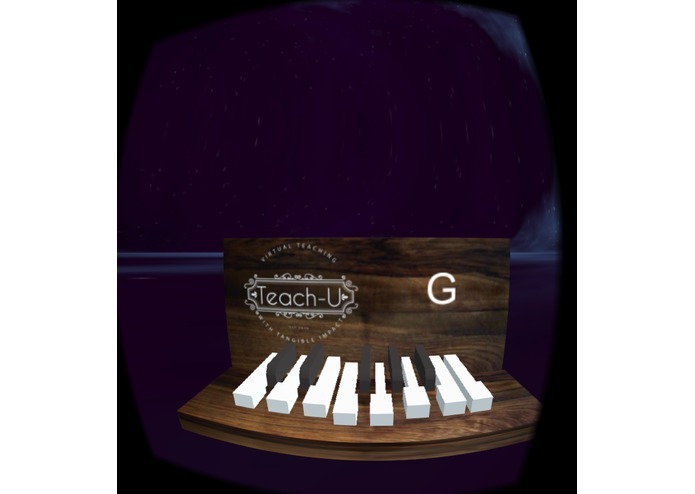 Welcome to your virtual piano! Turn around to play the drums! The notes can change to teach you what you're playing. Music education has proven positive effects for children and adults alike -- however when schools cut their budgets, music ed is often one of the first programs to be abandoned. This leaves hundreds of thousands of kids without music in their lives. 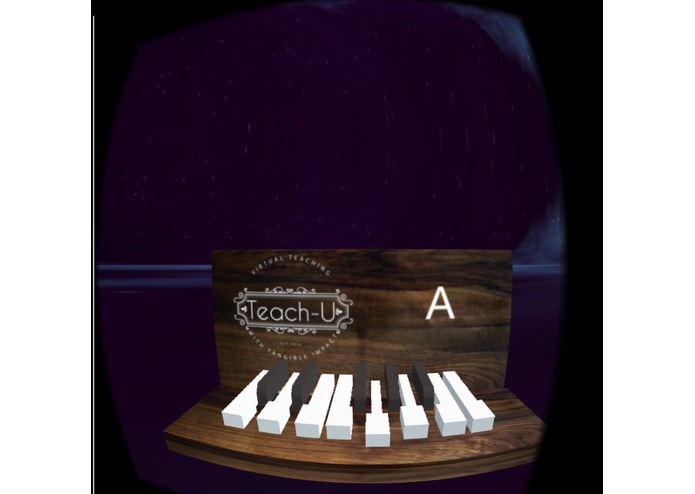 It allows for a teacher-student learning environment all within an immersive virtual reality world. They can play the piano, the drums, or play solo for practice. We built it in Unity using C# and the Carnival API that uses PMD technology to accurately map and display data onto the Google Cardboard platform. Learning to develop for this new platform was tough! It was challenging to see the final experience not from a developer's point of view, but from a student or teacher's point of view. We struggled with this, but think it made our experience better in the end. Our original idea was for a solitary VR experience to practice music. We chose to take it to the next level by adding in multiplayer networking and making this a collaborative experience! This is one of the only current working apps we could find that featured true online multiplayer for Google Cardboard. Carnival SDK and gestures in virtual reality... bringing in your own hands adds a lot of potential. We would like to continue to refine and develop this project with an eventual goal of being a technological demo for the Carnival sdk and pmd. 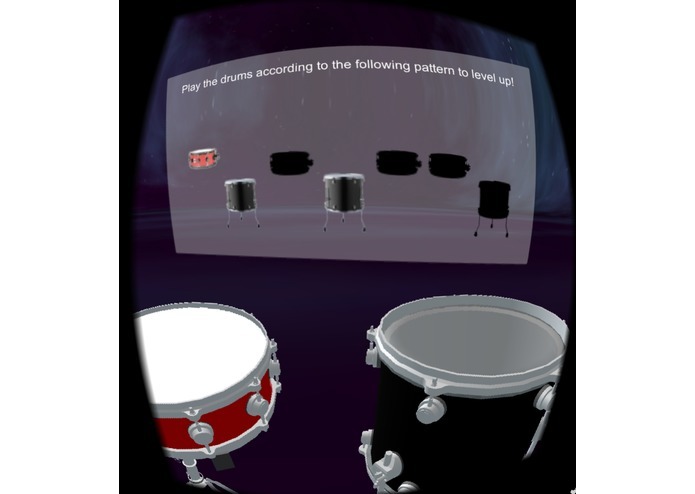 I worked on putting together the drum demo, connecting the drumstick to the movement of a user's fingertip, the canvas UI, and helped with combining the two parts of the project.